Now, as Brown prepares to leave office — his own pension at hand, after five decades in public service — even that hard-won modicum of fiscal change could be loosened. 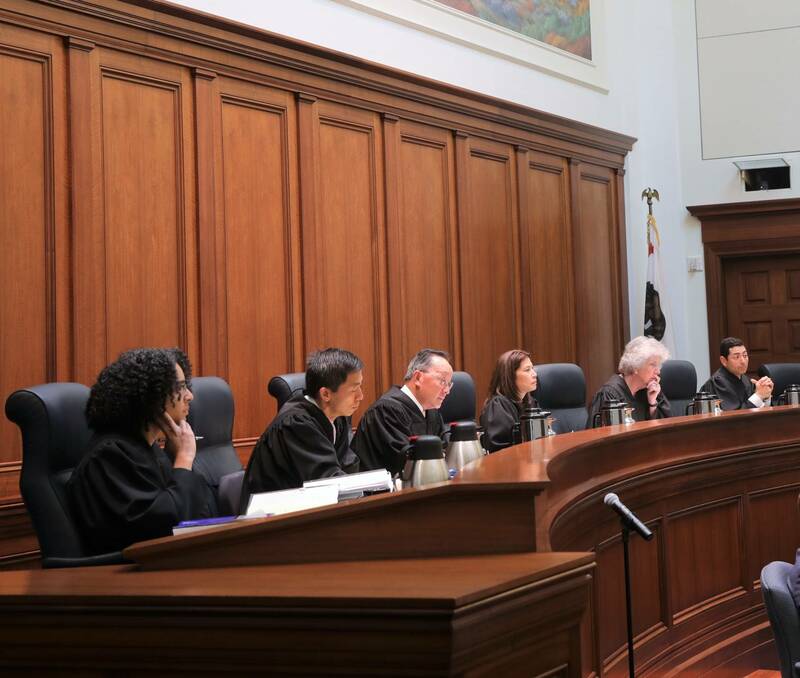 In a case that went to oral arguments this week, the California Supreme Court is weighing a key legal precedent that could restore the generous pension formulas Brown worked so hard to tighten. Brown, who at 80 has already surpassed the average retirement age of state workers by 22 years, predicts that he’ll win. But Wednesday’s proceedings made it clear that workers’ arguments are also compelling. 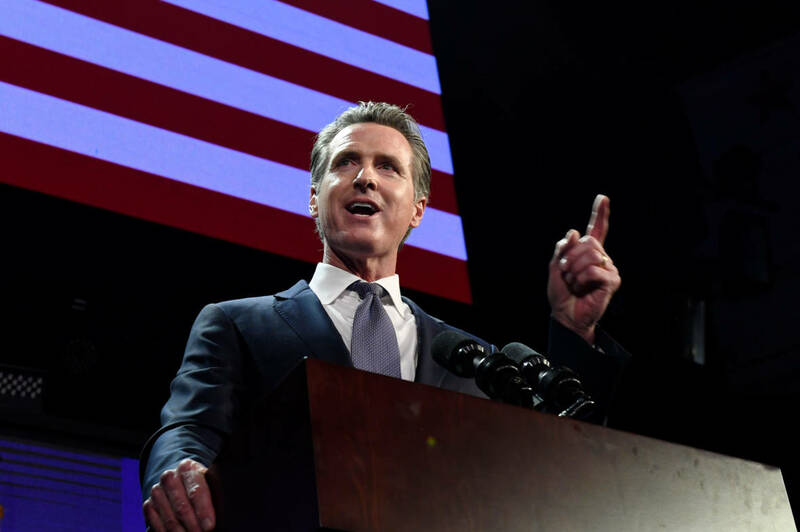 Whatever the ruling, Brown’s successor, Gavin Newsom, will have to cope with the outcome. 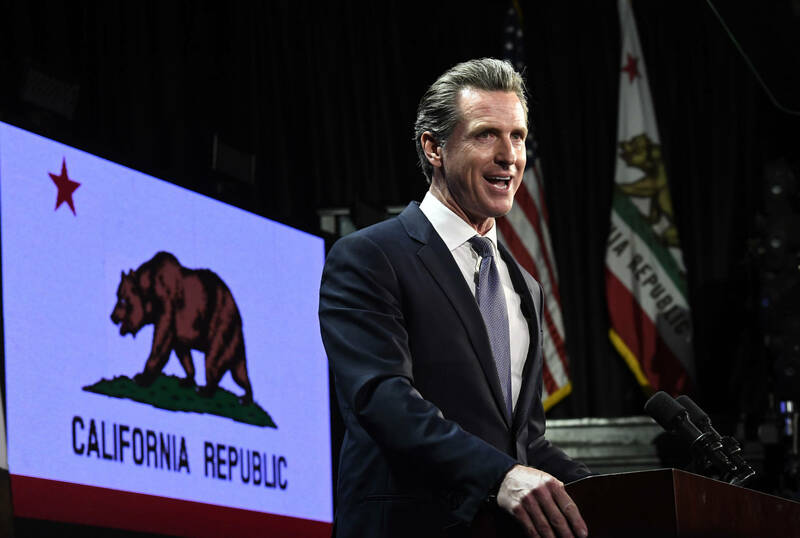 And — though the state’s unfunded liabilities persist, and economists warn another recession could be just around the corner — Newsom will face a very different political landscape. 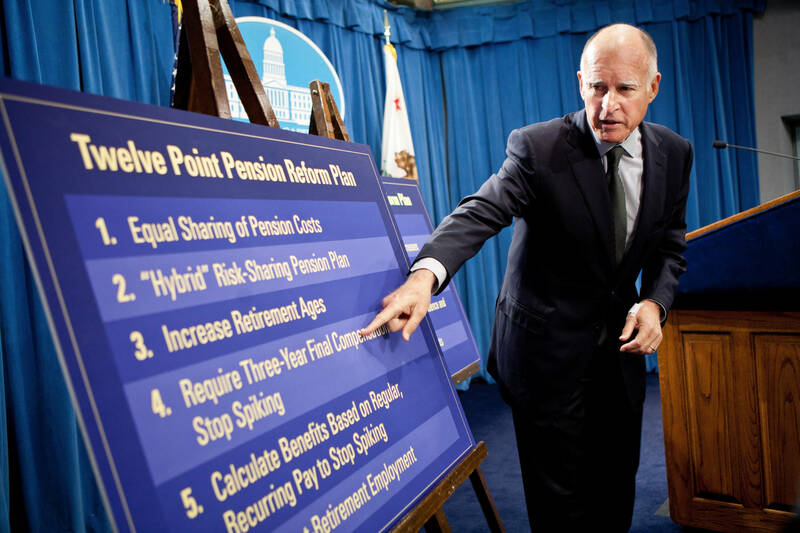 Should California land in another downturn, Brown’s pension reform miracle could be difficult, if not impossible, to repeat. The case heard by the high court this week involves the California Rule, a legal precedent that requires the state to compensate public employees if their retirement benefits are lessened. In a challenge brought by Cal Fire Local 2881, the firefighters union argues that the ability to purchase additional years of service credit toward retirement, known as “airtime,” is a pension benefit that employees rely on as part of their decision to go into public service. But if the court sides with Brown, it could open the possibility of future governors and legislatures modifying current employees’ pensions for prospective work, and perhaps setting a new precedent in which already negotiated benefits are fair game. If the court sides with the union, it would bind the state’s finances and commit taxpayers to paying already expensive retirement benefits. On a larger scale, the case also could mark the end of a Brown-led era of fiscal reform in Sacramento. A blue-state Democrat with a lifelong tendency against the spending his party was known for, the frugal Brown had the experience and political capital to challenge public employee unions who typically hold sway over Democratic politicians. Meanwhile, Democrats, who have been a majority for some time, also with strong backing overall from organized labor, only gained ground in the November election. As the Legislature convened on Monday, they had not just a supermajority but a “mega-majority” in both chambers. Multiple labor unions sued, arguing that Brown’s 2012 changes infringed on their employer’s contractual obligation to provide retirement benefits at the level that was promised on their first day of work. That premise—the California Rule—left state and local governments with little room for savings. Now, the California Public Employees’ Retirement System is carrying $111 billion in unfunded liabilities and the California State Teachers Retirement System faces $76 billion in unfunded liabilities. 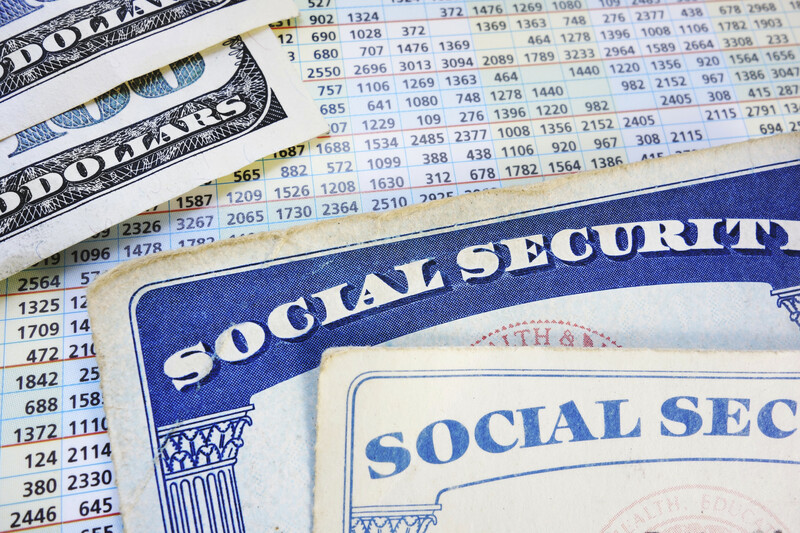 During Wednesday's oral argument in Los Angeles, the justices seemed to be searching for where to draw the line that would protect workers without giving them limitless retirement benefits. 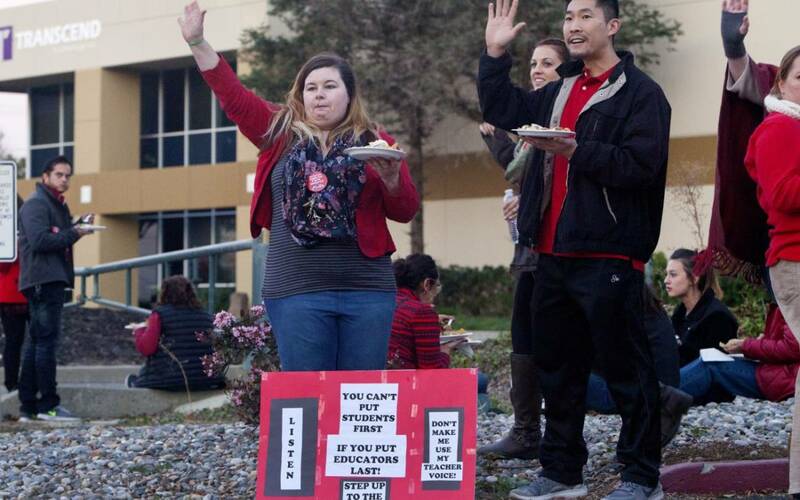 Then Liu turned to Brown’s attorney, Rei Onishi, to ask if the state has a right to change benefit formulas midstream in a worker’s career, which strikes at the heart of the California rule. Onishi said yes, if it applies to prospective work. He reasoned that because a worker hasn’t earned the benefit, it’s not an impairment. Though the hearing focused on legalities, the realities of Democratic politics weren’t far from the courtroom. 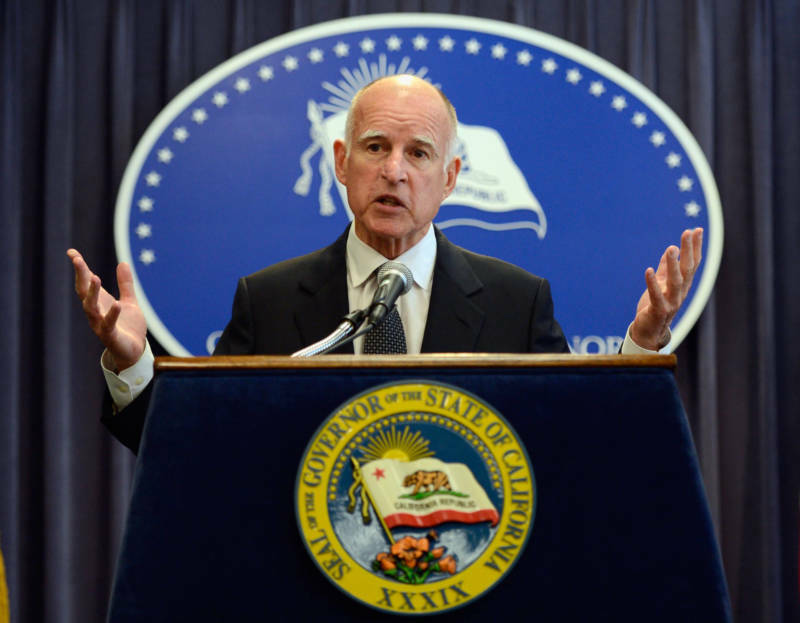 In an unusual move, the governor had his own attorneys argue the case rather than Attorney General Xavier Becerra—a choice that fueled speculation that Brown hoped to shield the attorney general, a Democratic elected official, from union pressure.